Guest Post: 5 Ways To Impart Values To Children - Being Mumma! Today’s Guest Post is by Mrs. Gokula Lakshmi. ‘Being Mumma’ is the best thing to have happened to me and so there can be no better place for me to post my first ever blog. Thanks to Pranita. Being a mother of three, an 8 year old boy and 1.5 years old twin girls, has been the most gratifying experience. A thought very often crosses my mind that regardless of what the future holds for me, I will always be grateful to my children for taking me through a galore of the most beautiful experiences ever, to say the least! Every moment I spend watching them grow, I see different personalities shining through each one of them, each beautiful in his/her own way! And then I realize that God has given us parents such a significant task of moulding these little ones into responsible adults. So among everything we provide for our children, one of the most important aspects of parenting is imparting values. What are “values”? In my view values are deep rooted ethics which are cemented in our belief system based on our cultural and environmental influences. We feel obligated to pass them on to our children without which we feel that we haven’t done our jobs as parents. Children imbibe the positives and negatives of our value system by virtue of being closely associated with us. Every generation of children live in a gradually changing era which is quite different than that of their parents. And every generation of parents, on their part, grapple with the challenges that are thrown at them. Children are influenced by so many factors like family, school, friends, television, raging hormones, peer pressure, etc. As a mother I want to always protect my children from all the negative influences and I know that it is practically impossible. But what I can do is equip my children with values which will be a part of the way they lead their lives. 1. Walk the talk: much easier said than done…. Actions definitely speak louder than words! The visual impact of our actions has a deeper effect on children than our words of advice. We all have many instances of slip-ups. Becoming aware of what we do and say is the first step up the long ladder of parenting that we scale. Children closely watch their parents and try to emulate them. Since children spend most part of their lives watching us living ours, we have to furnish a good reason for them to choose to be like us. We watch our children grow and we are constantly learning and growing as parents too. ‘Once upon a time, there was…’ since childhood, this introduction never failed to transport me to a different time and place with a new and wonderful feel each time! 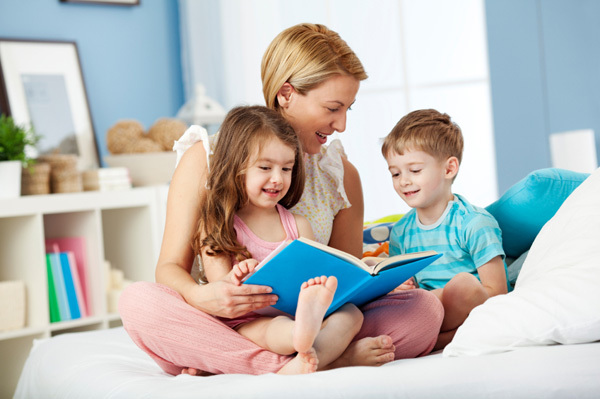 As children we all loved stories and they have played a significant role in our growing up though we often forget to give them the due credit. Stories from mom, dad, grandma and grandpa have never ceased to capture our complete attention, and the point is driven straight home. We buy books and dig into our memories and imaginations for stories to narrate to our children. And the joy in sharing these stories and seeing the wonder on your child’s face is worth a million bucks. Watching movies which convey powerful messages is another significant form of storytelling. Watch a good movie with your child and exchange your thoughts on it. It leaves a lasting impression on your child. Stories have been a part of growing up for every child across the globe. They have been shared in every culture as a means of entertainment, education, cultural preservation and instilling moral values. This is an invaluable inheritance which is easily weaved into our everyday lives in rearing children. Through tears, laughter, fun and love, stories make it easy for us to connect to our child and help her see things through our perspective. Whether it’s a good book or a great movie, snuggle up with your child and enjoy the magic it creates! I was seven months into my first pregnancy and a slight deviation from the norm in my health put me onto the maternity nursing home bed. That being my first experience, I was scared of having a premature delivery… I was scared for the wellbeing of my baby. 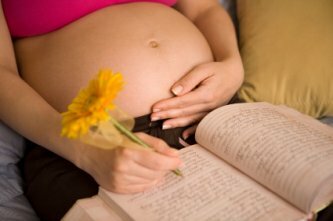 A thought struck me and I pulled up a book and a pencil and wrote a letter to my unborn child. I told him that I still had time before I shared him with the world and that I wanted him all for myself until the next two months which is when the ‘only you and me’ time would come to a closure. My first born was a full term baby. But that letter was the beginning of a journal I started penning for my children. I can’t say I am regular at it, but it helps me in sharing my thoughts and my philosophies with them. Who said playing is only for children?! Play a board game inside the warmth of your home or step out into the open with a ball or a badminton racket or a flying disc. Organise a tea party for the dolls or become the student of your little teacher. 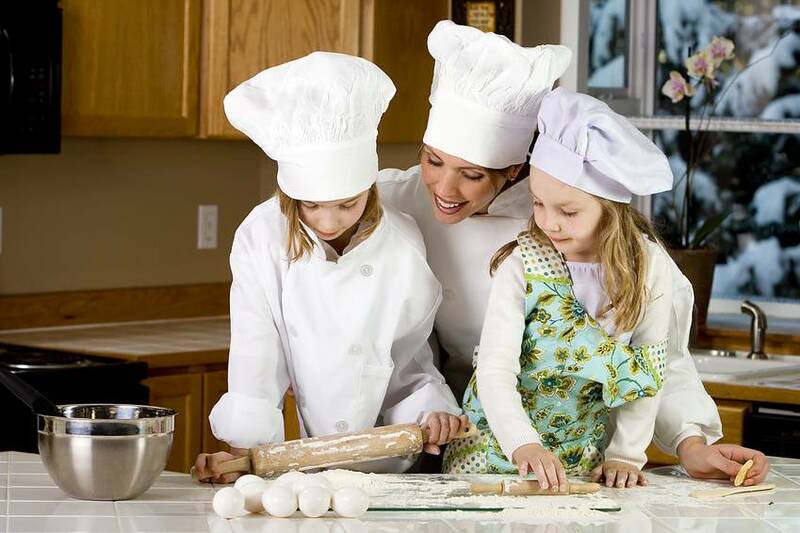 Cook a meal with your junior sous chef or do some work of art together. Join a pottery class with him or sing a song with her. As much as a child enjoys playing with his friends, he will love having you as a playmate. This will give you umpteen numbers of opportunities to teach life skills to your child. Not to mention the joy in becoming a child again, albeit only for a while. 5. Spirituality, the true essence of life! Are you wondering if you’ve suddenly switched to reading a senior citizens’ blog? Well, no! Spirituality might seem like a concept totally out of place in a blog related to children. 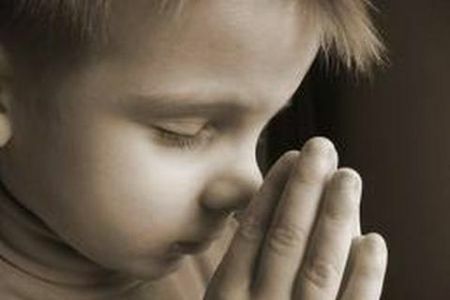 Contrary to the popular belief that spirituality is for the old, I trust that sowing seeds of spirituality in a young mind helps in moulding a child to be a complete person with a strong and active conscience. One will always be guided well when she follows her inner higher Self. All said and done, it is true that we humans make mistakes and learn from our experiences. Values act as an inner voice that prevent us from getting derailed and nudges us back to track when needed. Let’s creatively nurture the hearts of our little ones to create a strong foundation for them while enjoying the process ourselves. Mrs. Gokula Lakshmi is a mother of three, a sweet 8 year old boy and two twin girls who are the sweetest ever! She loves motherhood and believes that it is the most precious blessing she could have ever got.